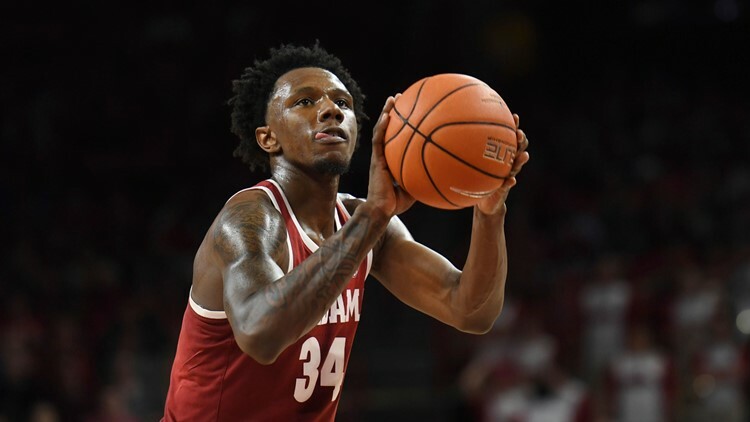 Tevin Mack has one year of eligibility left and there's a very good chance he will return for his redshirt senior season under new Alabama head coach Nate Oates. But if the NBA route looks promising, Mack will be able to choose that route. The Dreher graduate has submitted paperwork for the NBA Draft, but is not going to hire an agent, thus preserving his amateur status. He can still return to school if he decides to pull out out of the draft. The deadline for the decision to stay in the draft or withdraw is May 29. Until then, Mack can take part in workouts with NBA teams and while there is a good chance he will be back in Tuscaloosa, there can be a lot he can learn in these workouts. Chris Silva did that last year. Mack played in 34 games this past season as a redshirt junior, his first season at Alabama after sitting out due to the NCAA transfer rule. The Texas transfer made 24 starts and finished fourth in scoring (8.7 points per game). If Mack does return to Alabama for his final season, he will begin work on his masters degree. He is scheduled to receive his undergraduate degree next month.